Flutter has hit the mobile app development world like a storm. Being an Android app and web application developer, I wanted to try this new framework to see why there’s so much buzz about it. Previously, I was very much impressed by NativeScript and React. For some strange reason, I disliked JSX and hence never used React on any of my projects. All the B.S aside, let’s get into the actual demo of building an app with Flutter. 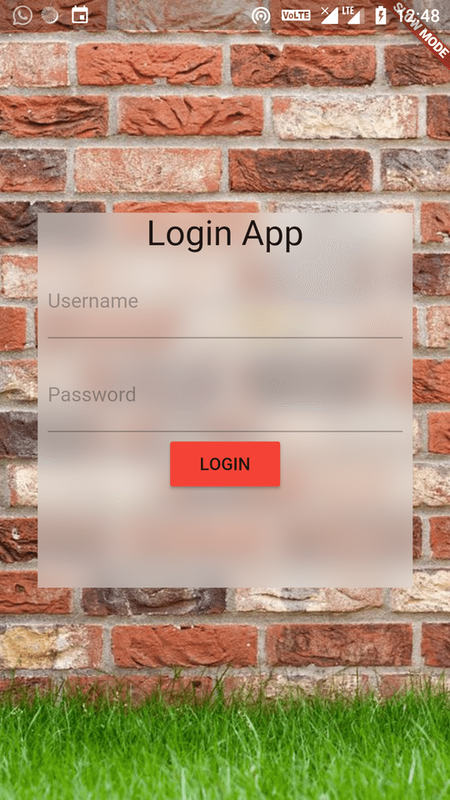 The goal of this post is to show you how to build an app with a Login screen and a simple Home screen. I choose this topic since I couldn’t find any topics explaining how to implement a Login app with SQFLite and a REST backend. Of course you can use Firebase Authentication for this, but the point is to make it easy for you to understand the ceremony involved in setting up a REST and DB client in Flutter. Firstly, I hope you have already setup Flutter in your favorite IDE. I will be using Android Studio here. If you haven’t set it up yet then please click here. One more thing to note, I will try to follow MVP architecture here but I might be violating few guidelines so please don’t mind. As you can see in the screenshot above, that’s how our app’s structure will be after end of this tutorial. Do not worry, I will go through each of the files in detail. Our app has only two screens, but we will use the Routing feature built into Flutter to navigate to login screen or home screen depending on the login state of the user. Adding routes are pretty simple, first you need to setup the different routes as a Map object. We only have three routes, ‘/’ is the default route. main.dart will have the entry point for our app. Nothing new happening here, we just setup MaterialApp widget as root and specify to use the routes that we just defined. We need a network util class that can wrap get and post requests plus handle encoding / decoding of JSONs. Notice how get and post return Future’s, this is exactly why Dart is beautiful. Asynchrony built-in! RestDatasource is a data source that uses a rest backend for login_app, which I assume you already have. ‘/login’ route expects three parameters: username, password and a token key (skip this to keep things simple). We use a model class to define a user. Also note, how we use a constructor to create a new User object out of a dynamic map object. I won’t get into specifics of Dart here since that’s not the point of this post. The above class uses SQFLite plugin for Flutter to handle insertion and deletion of User credentials to the database. Note: Dart has inbuilt support for factory constructor, this means you can easily create a singleton without much ceremony. // A naive implementation of Observer/Subscriber Pattern. Will do for now. auth.dart defines a Broadcaster/Observable kind of object that can notify its Subscribers of any change in AuthState (logged_in or not). You should use something like Redux to manage these kind of global states in your app. But I didn’t want to use Redux for this simple app and hence I chose to implement it manually. login_screen_presenter.dart defines an interface for LoginScreen view and a presenter that incorporates all business logic specific to login screen itself. Thanks to MVP! We only need to handle the login logic here since we do not any other feature in LoginScreen for now.
? "Username must have atleast 10 chars"
There are a lot of things happening here. LoginScreen is a StatefulWidget since we want to store the state for entered username and password. WE define a Form widget that will make our life easier in handling form validations. May not be necessary here, but hey why not use something different!?. I’ve also used nice fancy Backdrop effect to make things more interesting. All thanks to this stackoverflow answer. We use a GlobalKey to manage FormState to see if the form is valid or not when the user clicks on login. Similary we need a GlobalKey for Scaffold if we want to show a Snackbar feedback after login. LoginState implements LoginScreenContract which has methods for onLoginSuccess and onLoginError. These methods will be called by the Presenter. LoginState also listens for any change in AuthState. So if the user logs in, LoginState will be notified of it. Here it will simply use Navigator class to replace the current route with /home. Finally, edit pubspec.yaml to include the necessary plugins. description: Some login app description here. # The following adds the Cupertino Icons font to your application. # Use with the CupertinoIcons class for iOS style icons. Note: Add your asset files to assets/ folder in the root of your project. I have used a background image for login screen. 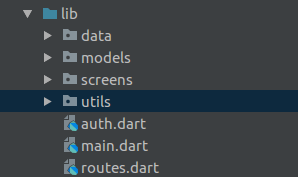 This should also be added in your pubspec.yaml file for Flutter to recognize it as an asset. We’ve built a good enough login app from scratch. This should give you some insight on how to handle REST requests and create a database client. Hope you have liked this article. I’d be glad to answer any queries in comments!